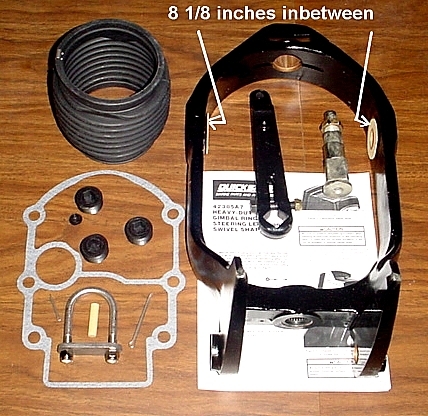 This is MerCruiser # 88302A1 Pre-Alpha complete gimbal ring kit. It will fit all Pre-Alpha drives made from 1976 - 1982. 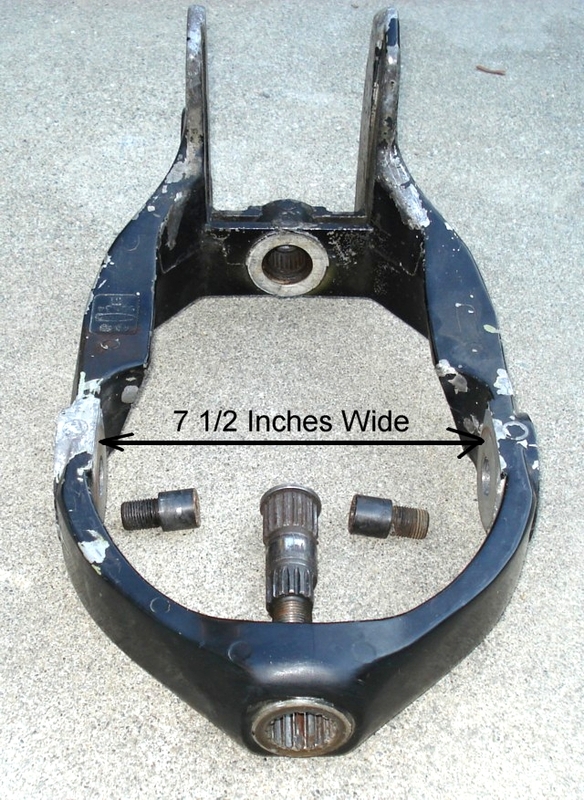 The upper square to spline swivel shaft will only fit 1976 to 1982 drives ending with serial # 6,225,576. You must use the same upper swivel shaft and steering lever as the one that comes out because the bearing diameters are different sizes in the gimbal housing assembly. All gimbal rings come from MerCruiser. This ring comes with all parts shown. 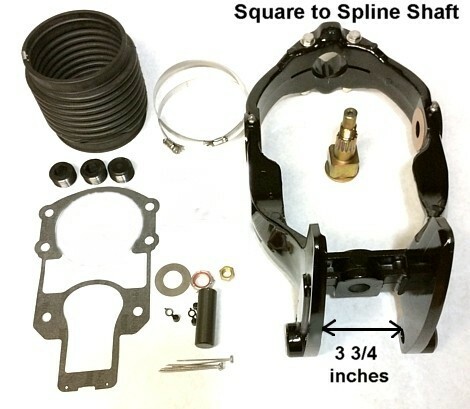 This is MerCruiser # 94993A12 Alpha complete gimbal ring kit. It will fit all Alpha One drives made from 1983 - 1990. The upper square to square swivel shaft will fit all Alpha drives made after serial # 6,225,576. 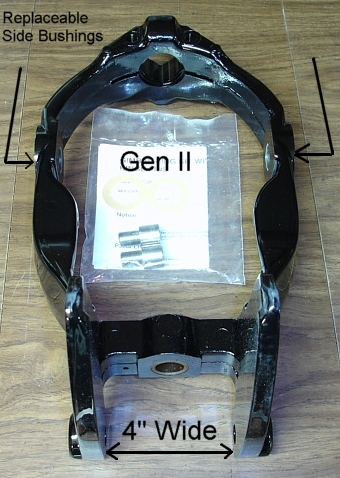 This is MerCruiser # 865328A01 ( old # 816461A2 ) Gen II gimbal ring. It will fit all Alpha One / Generation II drives made from 1991 - Date beginning with serial # OD469859. These new Gen II replacement gimbal rings now come with the same replaceable side bushings ( NOT INSTALLED ) that is used with the Bravo gimbal rings. This gimbal ring comes with 2 new Bravo hinge pins which have the same thread size but have a larger head diameter than was used by the original Alpha & Gen II gimbal rings. No kits Available for Gen II. All gimbal rings come from MerCruiser. This is MerCruiser # 8M0062440 ( old # 822374A4, # 822374A14 & # 44211A2 ). 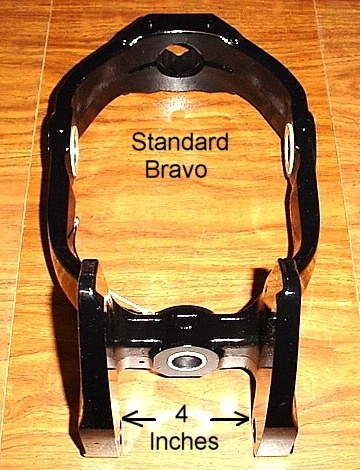 It will fit Bravo I, II, III drives which have Trim/Sender switches mounted on the sides. This gimbal ring uses (2) threaded hinge pin bolts which have a larger head size than Pre-Alpha, Alpha One & Gen II drives. MerCruiser does not have a kit available for Bravo drives. This is MerCruiser # 42385A7 kit. It is the only gimbal ring available for TR & TRS.